Pajama Party? sounds interesting! enjoy your weekend. I am with you on the bikini postings. No one should be posting them, in my opinion. Christian girls, especially, should know better than to flaunt 99 percent of what God gave them. Save it for the husband! I don't care how cute your body is, it's not mean to be exposed to that degree. Kids are definitely never far from our thoughts, regardless of age. So glad your hubby has an eye for detail. Mine does, too. Very comforting particularly when big bucks are at stake. Pajama Party--if you do it, I sure I hope I get an invitation! Pajama party...I may be in for that! Really enjoyed reading your letter today and found myself nodding my head as I read. Pajama party? Sounds interesting although I don't exactly fit into the "don't know" part. Have a great weekend. I love Vera Bradley products. I haven't bought one personally. But, a friend gave me a Vera Bradley overnight bag. I look forward to using it when hubby & I go over-nite for our anniversary. We really need to be careful what we post. Poofy hair? Well I guess I'll fit right in. Actually, with my curly hair, I never know how it will look. WooHoo!! PJ Party...What a great idea!! Fun reading your thoughts... poofy hair? Oh, boy! 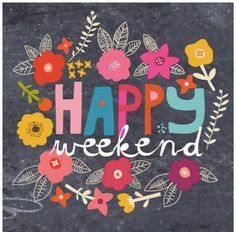 :) Hope you have a lovely weekend! A pajama party sounds like fun, fun, fun! I agree with the scantily dressed teens ... not just skimpy bikinis, but short shorts, mini skirts, etc. And I cannot disagree ... DD will be 39 this fall, and I still worry about her ... and of course, DSIL and the grands ... oh my! seriously - amen to the Facebook comment. it's like modestly flies out the window in the name of summer. so so thrilled to hear your dad is doing so well! rejoicing with you. So glad your Daddy is doing well! A pajama party sounds like SO much fun! i'm sure any party you host is a memorable one. I'm sure your house will be beautiful! Thank God for good husbands! I always like to read your lists and find that I often am agreeing with you, as I read each one. My husband had an eye for detail through our house building too, and after 17 years of living in the house, I still find myself appreciating it so much.